What to the give the golfer in your life who has everything! Well don’t panic, The European Tour has just The Ticket! They have launched a limited edition Dubai Duty Free Irish Open Festive Fan Pack. Following the huge success of this year’s event at Portstewart, the 2018 Dubai Duty Free Irish Open, hosted by the Rory Foundation, is again expected to be the sporting showpiece of the summer when the world’s best golfers will converge for the first time in the event’s long history in County Donegal to do battle at the spectacular Ballyliffin Golf Club from July 4 -8. Back by popular demand, the Festive Fan Pack is an ideal Christmas present for golf fans and includes two tickets for next year’s Dubai Duty Free Irish Open at Ballyliffin with other event-related goodies, all packaged up in a great value bundle for just €99 – a saving of €40 on the full retail price of €139. Shoppers should note that pre-Christmas delivery is only assured for orders placed by December 14. Right at the tip of Donegal – recently deemed the ‘Coolest Place on the Planet’ by National Geographic – the breathtaking landscape of the Inishowen Peninsula will be the setting for a festival of golf and entertainment, according to Dubai Duty Free Irish Open Championship Director Simon Alliss. “The Dubai Duty Free Irish Open is one of the biggest and most prestigious events on the European Tour,” said Simon, “and has been raised to a new level in recent years thanks to the support of our host Rory McIlroy and his Foundation, and the commitment of our title sponsor Dubai Duty Free. “Last year’s event at Portstewart was an amazing success and we expect next year at Ballyliffin to be another incredible festival of golf as the world’s best golfers converge on yet another spectacular Irish links course to compete for the coveted title won last year by Jon Rahm. “Tournament host Rory McIlroy, along with Shane Lowry, Paul Dunne and the rest of the Irish contingent will of course by doing their best to ensure that the Dubai Duty Free Irish Open trophy remains on home soil. “Staged for the first time ever in County Donegal, it’s going to an incredible event for fans of all ages,” continued Simon. “With grandstand seating to give you the perfect view, activities to keep little ones occupied and a Championship Village packed with great eateries, bars and music, there will be plenty to guarantee a fantastic day at the golf. 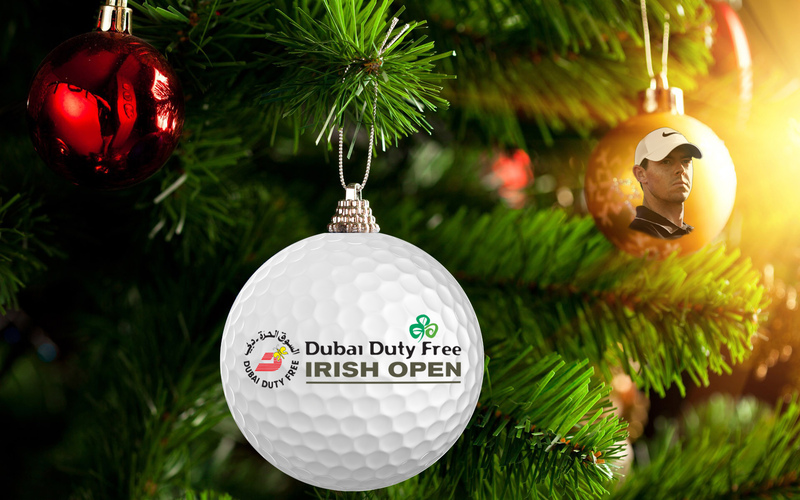 To purchase a Festive Fan Pack for a loved one this Christmas, or to view other ticketing options, visit www.festivefanpack.com/dubai-duty-free-irish-open-2018/.